You may guess from the peonies in these pictures that I am a bit behind in blogging and shot these pics a while ago... however, I couldn't let the summer pass without sharing the gorgeous Sunset Bronze make up collection from Elizabeth Arden - perfect if you have any September sun booked. If you have, I'm very jealous! 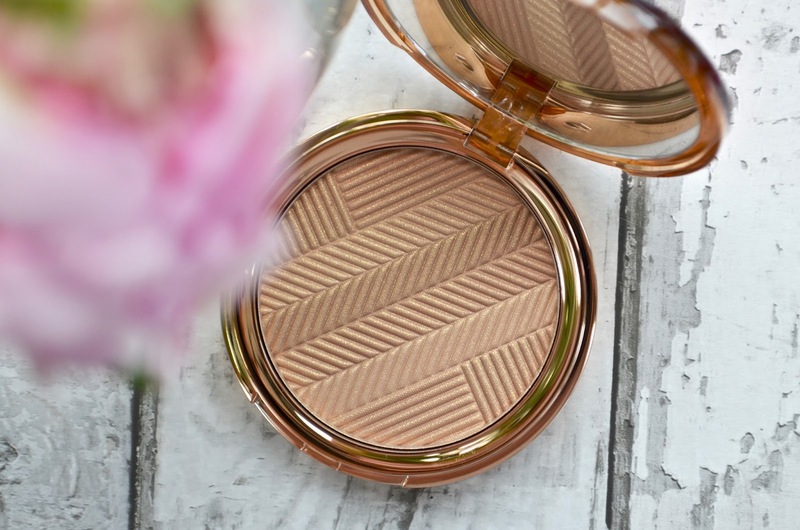 The item I am OBSESSED with from this collection is the Sunset Bronze Prismatic Bronzing Powder (£28) - it has been my bronzer of the Summer. 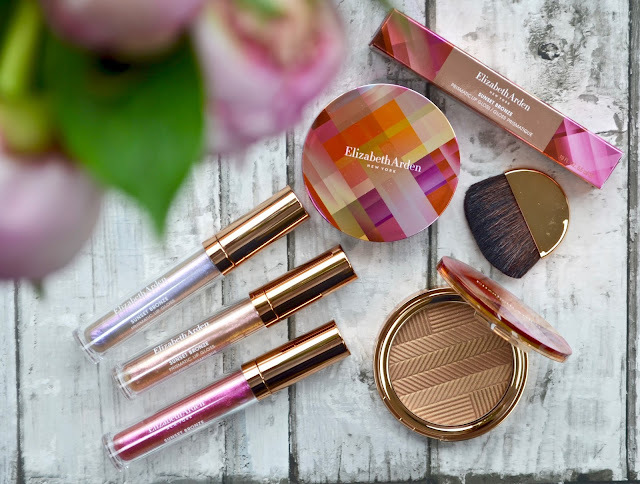 It has enough pigment to give you a proper 'I've been on holiday' sun kissed completion when actually you've been donning a hat and layering up the SPF 50. 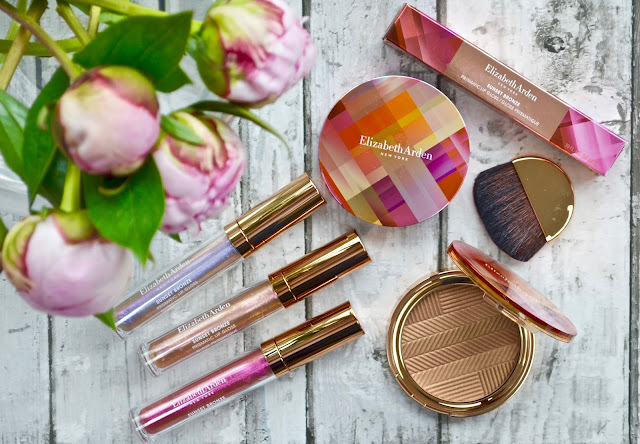 The combination of highlighting and bronze shades gives a subtle glow that is really pretty and summery. 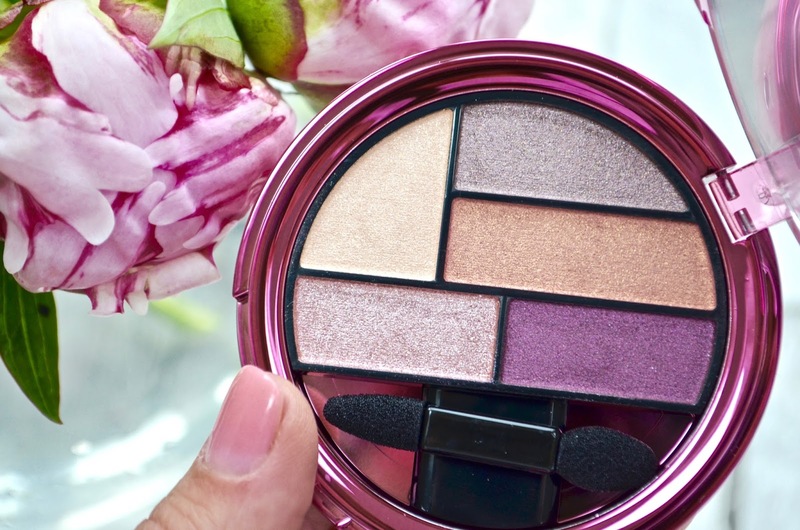 Having green eyes purple eye shades are the hue I should choose, so the Sunset Bronze Prismatic Eye Shadow Palette in Summer Seduction (£25) is fabulous. 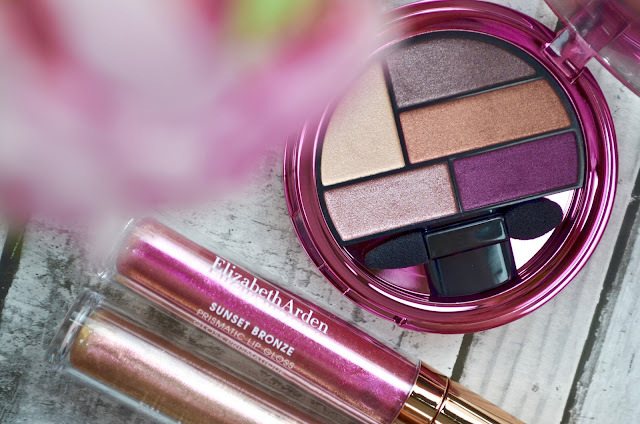 I tend to use the more neutral and bronze shades for day and casual evening looks and add the plum as a eyeliner for a pop of colour for summer nights out. 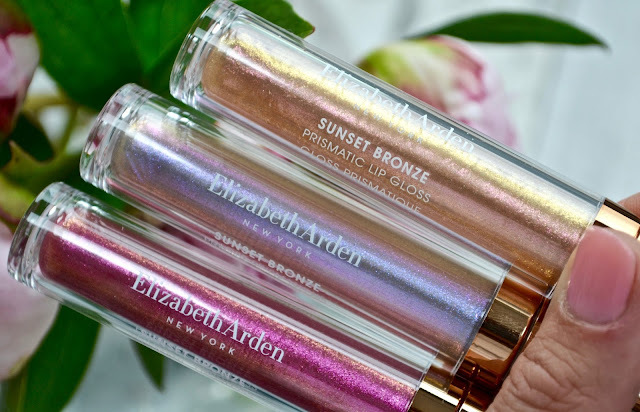 The collection also featured Sunset Bronze Prismatic Lip Glosses (£18) in Midnight Kiss, Moonlight Kiss and Sunset Kiss. I'm not a big fan of a sparkly lip gloss so they guys aren't really my vibe. 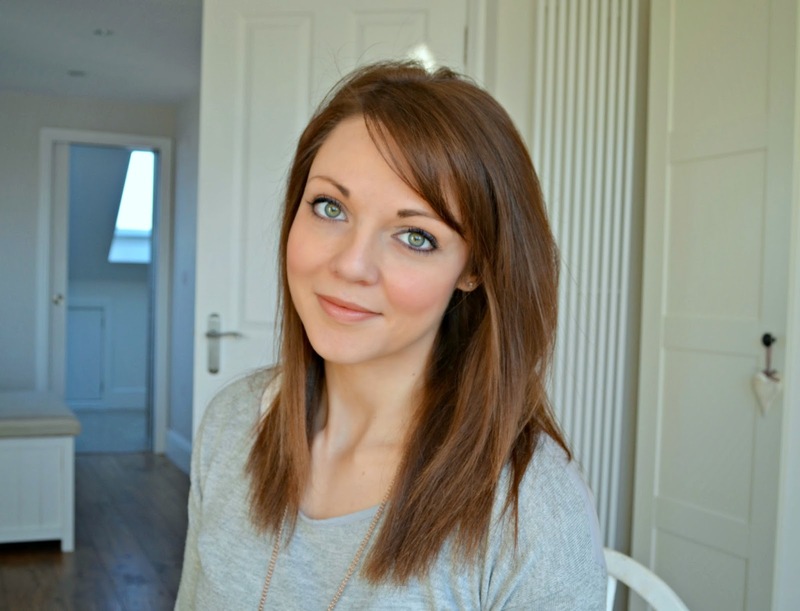 However, you can layer over Lipstick to add volume to your lips.